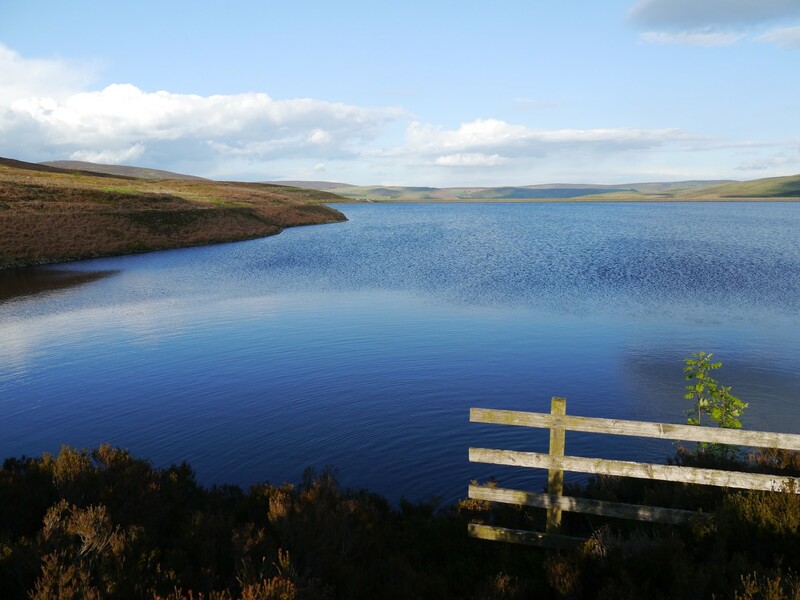 Lower Barden Reservoir is the lower of two reservoirs joined together by Barden Beck and situated in the heart of Barden Moor. While Barden Beck ultimately drops down to join the River Wharfe above the Strid, the water from both reservoirs is piped underground to a pumping station below Bolton Bridge. From there the water is pumped uphill to Chelker Reservoir where it is held until needed. 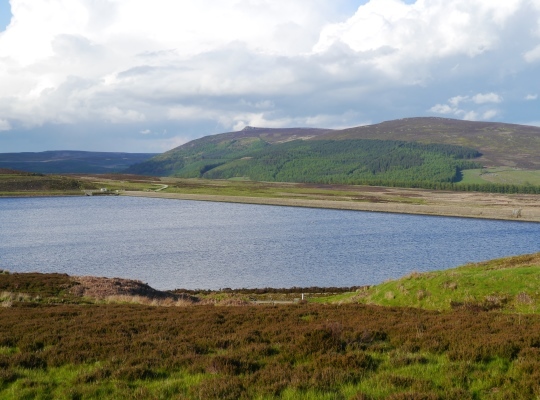 Lower Barden Reservoir can be accessed via a track just off the B6160 below the remains of Barden Tower. Perhaps a nicer alternative is to start from one of a couple of parking areas on the edge of Halton Moor on the minor road between Barden and Eastby. 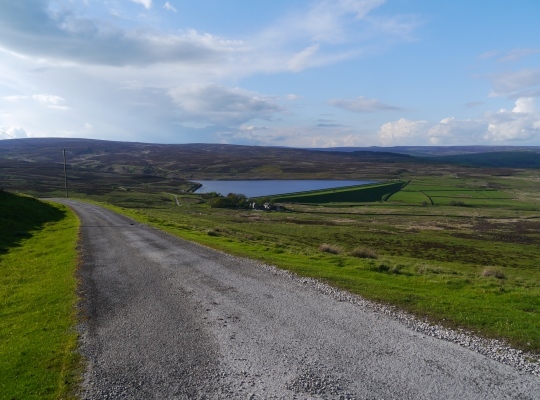 From there a grand track descends to the reservoir which is surrounded on three sides by moorland. 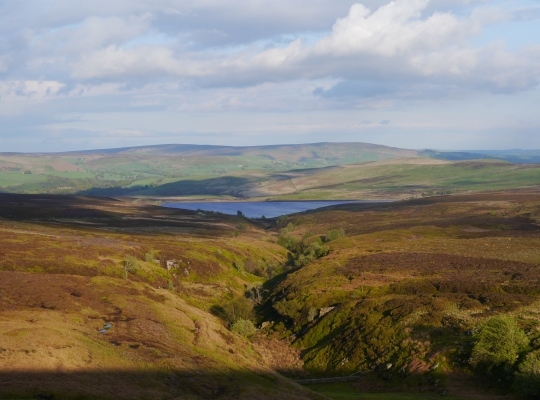 The views from Lower Barden Reservoir are excellent, especially to the east towards Carncliff Top and Simon’s Seat on the other side of the Wharfe valley. I have particularly fond memories of visiting both reservoirs after work on a gorgeous evening in May 2014 on a walk of just under six miles that also included a visit to Halton Height.